There is a basic sequence of steps for making the Winston Knot with scope for variations regarding the length of the braid and number of threads comprising it. Here I present examples of it. 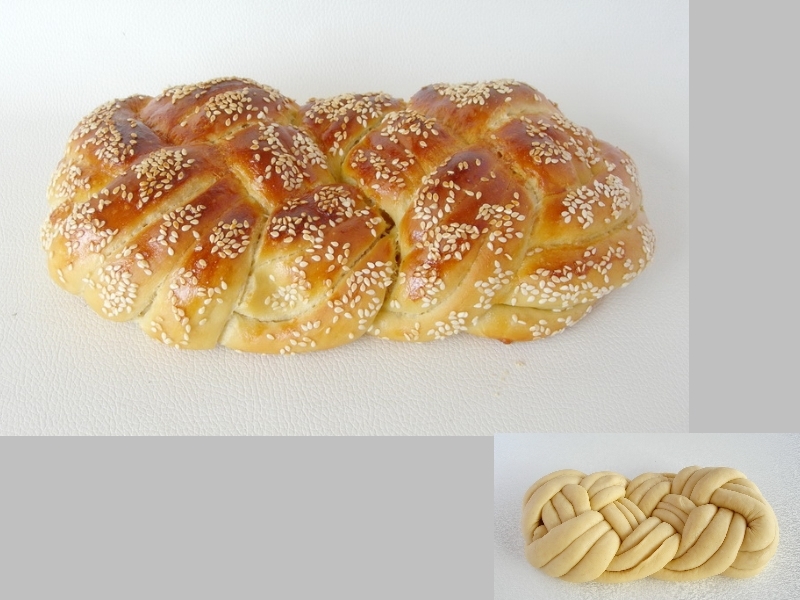 * From the book: "The Art of Braiding Bread"
The insert shows the bread in dough form. The main picture presents the baked bread. I love this one. Please show the crumb. Ibor.. your braided breads are a great example of doing one thing exceptionally well, than many in a mediocre way... I'd be wise to keep that notion in mind - both for my bread as well as my life! - very impressive..hanks for sharing! Thank you EdoBread. You keep me going.